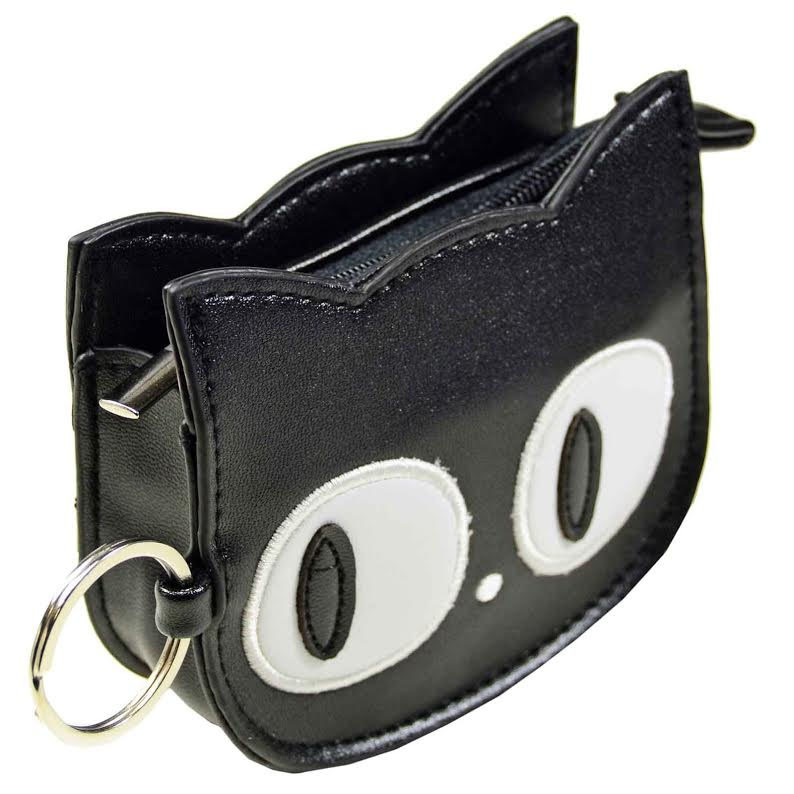 This great skull shaped small gothic, rockabilly or kawaii kitty coin purse is made from black leather look PVC and has embroidered face and cat print on the back! 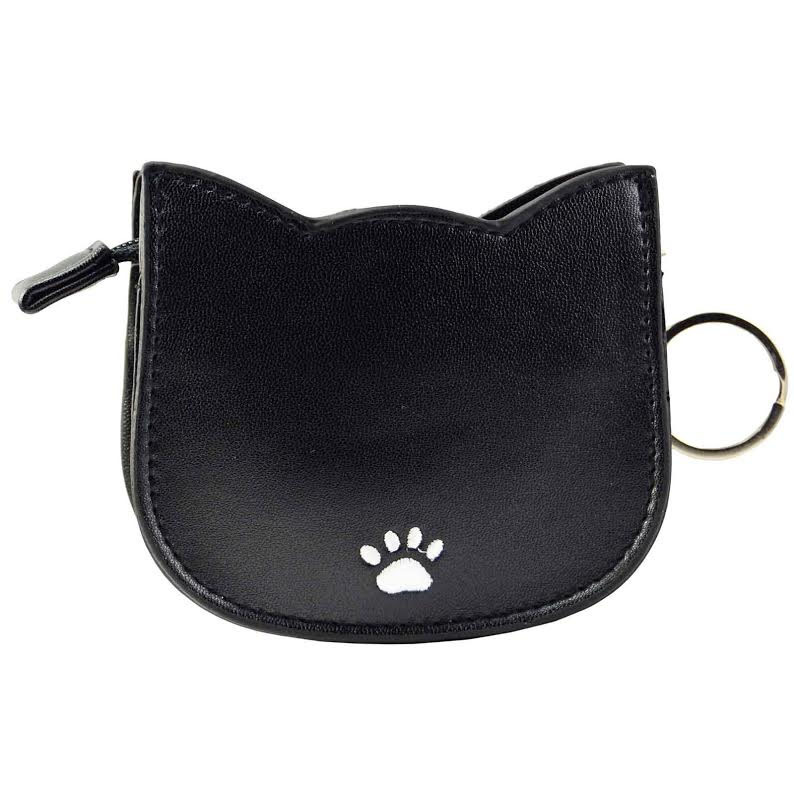 The purse has zip closure and a key ring loop on the side to attach to your keys or you could clip on a lanyard or wrist strap (not included). 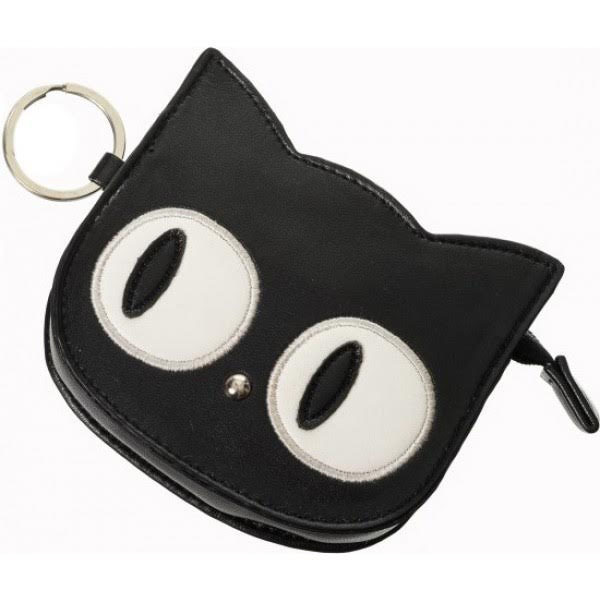 Matching Banned Wallet, Bag, & Backpack are in stock too!